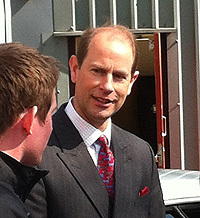 On 23rd March, HRH Prince Edward visited the University of Southampton to officially open the Queen Elizabeth II Diamond Jubilee Plaza. As well as it being the diamond jubilee for HM The Queen, the university is also in its 60th year. 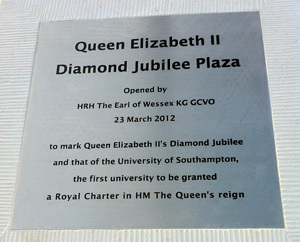 it was awarded special permission to name the area outside the Life Sciences Building the Queen Elizabeth II Diamond Jubilee Plaza.